Note: Commits will only appear on your contributions graph if you have added the email address you used for your local Git configuration to your GitHub Enterprise email settings. For more information, see "Why are my contributions not showing up on my profile?" This section displays up to six public repositories and can include your repositories as well as repositories you've contributed to. 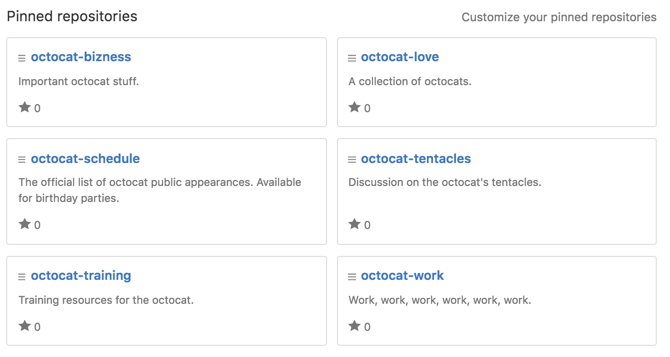 To easily see important details about the repositories you've chosen to feature, each repository in this section includes a summary of the work being done, the number of stars the repository has received, and the main programming language used in the repository. For more information, see "Pinning repositories to your profile." Click on a day's square to show the contributions made during that 24-hour period. Press Shift and click on another day's square to show contributions made during that timespan. 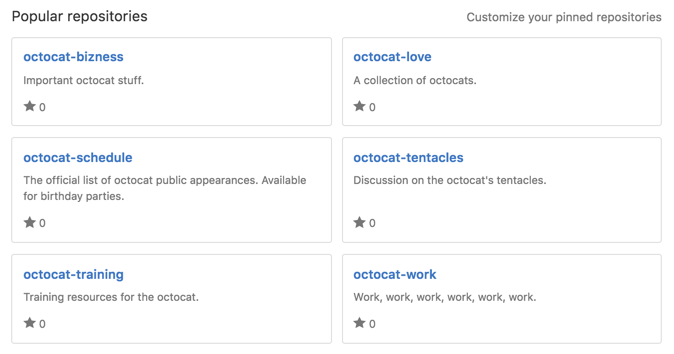 Pull requests and issues opened on GitHub Enterprise use your browser's time zone. Those opened via the API use the timestamp or time zone specified in the API call. 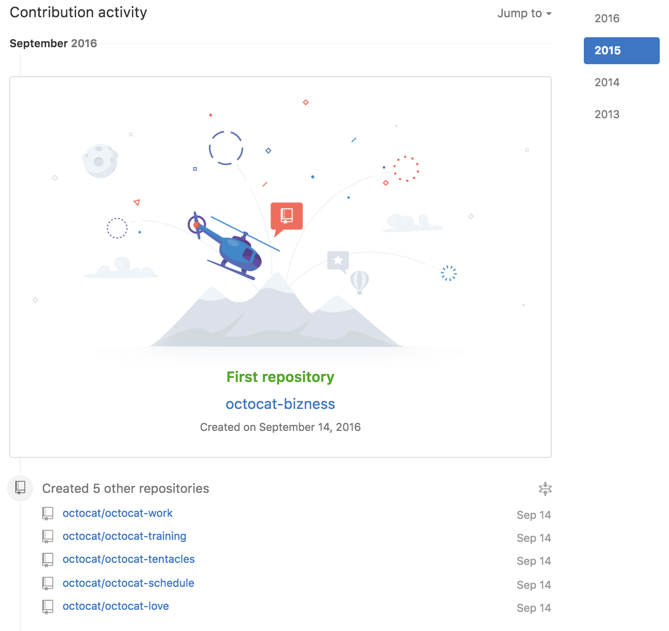 The contribution activity section includes a detailed timeline of your work, including commits you've made, pull requests you've proposed, and issues you've opened. You can see your contributions over time by either clicking Show more activity at the bottom of your contribution activity or by clicking the year you're interested in viewing on the right side of the page. Important moments, like the date you joined an organization, proposed your first pull request, or opened a high-profile issue, are highlighted in your contribution activity. If you can't see certain events in your timeline, check to make sure you still have access to the organization or repository where the event happened.